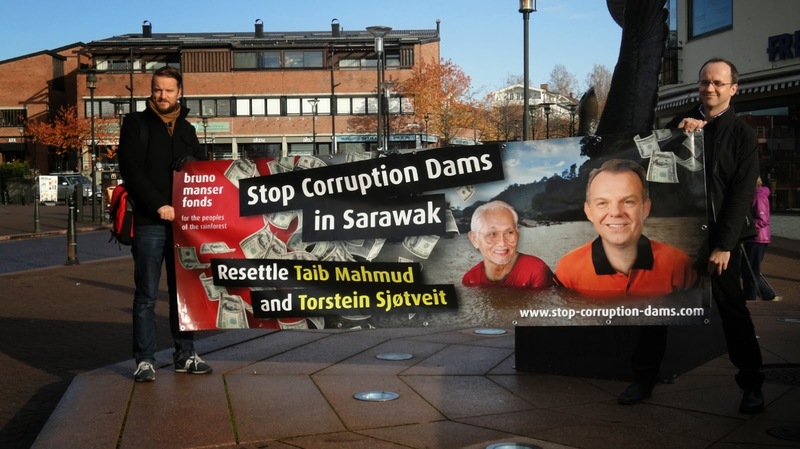 (OSLO / NORWAY) In a surprise move, Swiss rainforest advocacy group, the Bruno Manser Fund, and its Norwegian partner, FIVAS, have lodged an urgent complaint against the state-owned Malaysian power supplier, Sarawak Energy, with Norway’s anti-corruption agency, Økokrim. 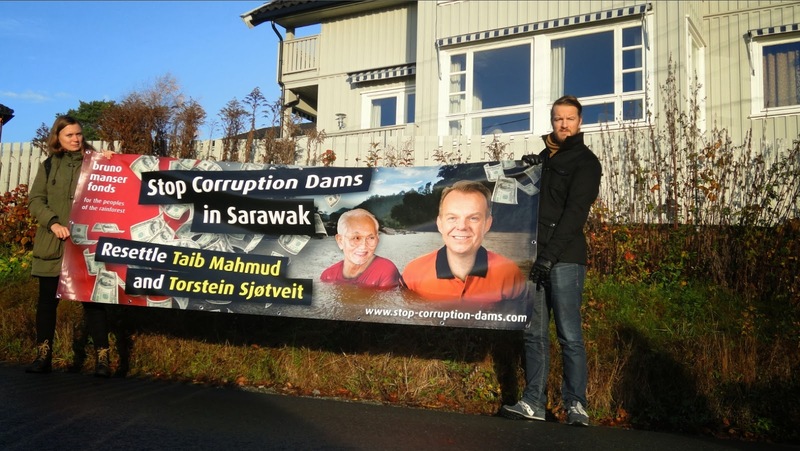 The complaint is directed against Sarawak Energy’s Norwegian CEO, Torstein Dale Sjøtveit, for unduly favouring the family of Sarawak Chief Minister Taib Mahmud. Under Norway’s tough anti-corruption laws, Norwegian citizens can be held accountable for their involvement in corruption anywhere in the world. The complaint follows the announcement by Sarawak Energy that it has granted Sarawak Cable, a company chaired by Taib’s son, Mahmud Abu Bekir Taib, two contracts worth 196 million US dollars for the construction of powerlines in Sarawak. Earlier research by the Bruno Manser Fund had shown that, between 2010 and early 2013, Taib-family-linked companies had already been granted contracts worth over 220 million US dollars. With the latest announcement, the grand total of contracts awarded to the Taib family during Mr. Sjøtveit’s tenure as CEO of Sarawak Energy is more than USD 416 million. where Mr. Sjøtveit is a resident. Mr. Sjøtveit has recently been conferred the honorary title of “datuk” (Sir) by the Governor of Sarawak. It is widely assumed that the distinction was awarded on request of Sarawak Chief Minister Taib Mahmud as a recognition of services rendered to his family. The Swiss-based Bruno Manser Fund (BMF) is committed to protect the threatened tropical rainforests and the rights of the indigenous forest peoples. 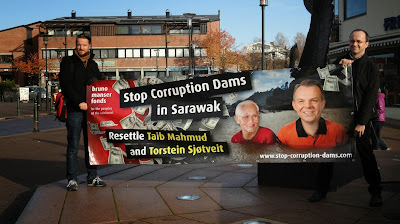 The association’s focus lies on Sarawak, the Malaysian state in Borneo. The Bruno Manser Fund was founded by Swiss rainforest advocate Bruno Manser who has been missing since his last trip to Sarawak in May 2000.